For an exquisite and unforgettable way to impress Mom, consider juicy strawberries handpicked and decorated by artisan chocolatiers. 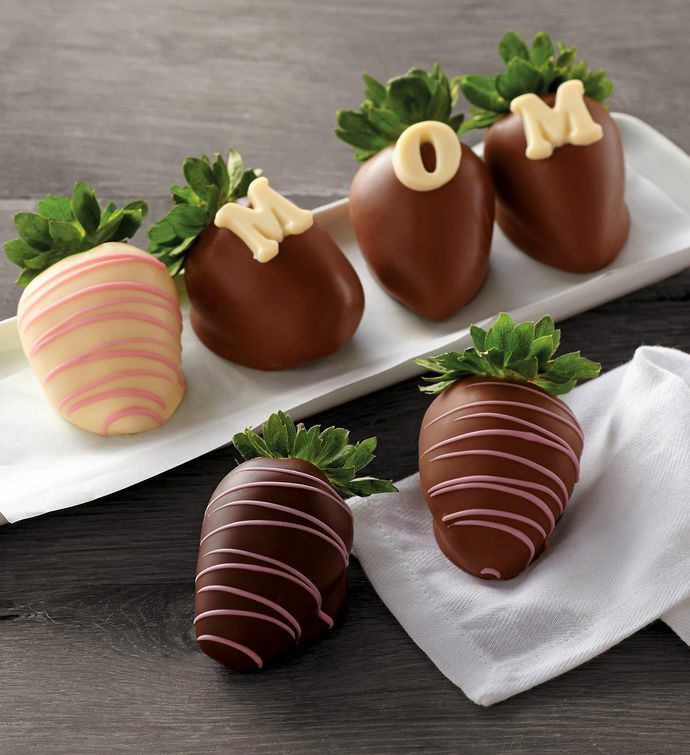 The fresh berries in the Mother's Day chocolate-dipped strawberries gift are dipped by hand in white, milk, or dark chocolate to ensure that each bite is rich and sumptuous. The attention given to quality and presentation is apparent in each berry. Dipped in only the purest Belgian chocolate and drizzled with complementary pink striping, three of these extra-large berries are decorated with buttery white chocolate lettering. It's a special, one-of-a-kind dessert to celebrate Mom and her special day.